Founded in 2000, GENMA Technology Industrial Corporation is a Hong Kong-venture company. The investment of the initial stage is up to 50 million Hong Kong dollars. 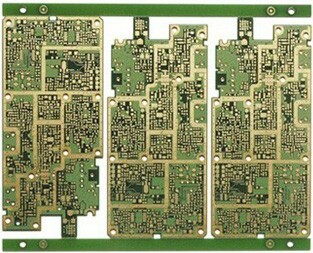 The company is specializing in the manufacture and sales of the high-density double sided and multiple-layer PCBs. Under the circumstance of fast business increase, now the company has already become one of the large-scale PCB manufacturers in South China. GENMA Technology Industrial Corporation is located at Dayawan, Huizhou, Guangdong Province of China, possessing the cost competition advantage. Occupying 25,000 M2 with 12,000 M2 building. We have a production group of more than 1000 people with technology and abundant experiences. At present, the yearly production capability of GENMA Technology Industrial Corporation is over 360,000 M2, and planning to double the annual production capability over the next two years. The company's customer groups are extensively distributed. The market-leading customers come from different electronic industries, including computer, computer peripheral products, telecommunications, network, automobile, power supply and general consumption electronic products, etc... We offer the "one-stop shopping" for customers and provide a variety of PCB manufacture..
GENMA Technology Industrial Corporation, with its own advanced facilities, will continuously update the most advanced, high-tech and automated equipments and inspection instruments to improve our technical production capability. Also, we will improve the production efficiency and quality of the products. GENMA Technology Industrial Corporation holds management theory of quality, standard, honesty and environmental protection. It is definitely devoted to strengthening quality control, cost control and on time delivers.